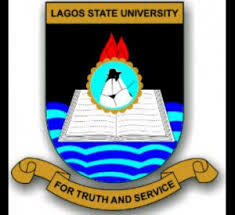 The Lagos State University, LASU Signs Memorandum of Understanding [MoU] with the Federal College Of Education, Osiele, Abeokuta On Sandwich Degree Programme. The Lagos State University has again been singled out for partnership by one of the leading federal institutions in Nigeria- Federal College of Education, Oshiele, Abeokuta, Ogun State. The partnership was cemented on Tuesday 10th April, 2018 as the heads of the two institutions, Prof Olanrewaju Fagbohun of Lagos State University and Dr Raufu Adekola Soyemi of the Federal College of Education, Oshiele, put pen to paper in a brief but colorful ceremony. The MoU was signed in the presence of Members of the Lagos State University Management and other Senior Members of Staff of the two institutions at the Vice Chancellor's Conference Room, Main Campus, Ojo. The partnership will see the Federal College of Education, Oshiele affiliate it's Sandwich Programme to that of the Lagos State University.